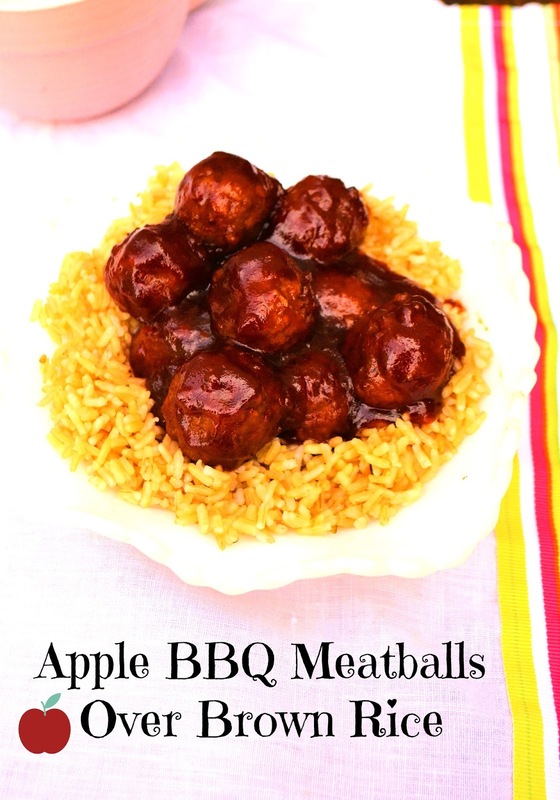 These Apple BBQ Meatballs are a hearty meal but easy to pull together on a busy night. It will satisfy the meat lover as well as the picky eater, so basically the entire family will love dinner. A twist on the classic party meatballs, these are a bit less "sweet" as they don't have a ton of sugary jelly in them but a more natually sweet apples instead. Bbq sauce will take the place of the chili sauce so it has a bit more tang, and hearty, stick to your ribs flavor to it, that makes it feel more like a meal. I serve it over brown rice and a side of corn on the cobbettes. I usually make a full batch even though I am an empty nester, and freeze the lefteovers for a future freezer meal,or quick party/ potluck food when needed. 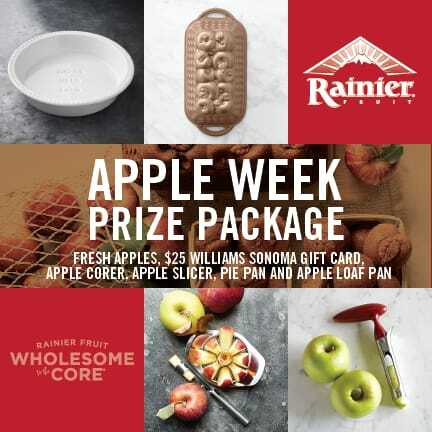 Jan's Tips: You have some choices for the apples: You can use regular applesauce, I like to use a chunky applesauce when I can find it, or I grab a can of fried apples, or even sugar free apple pie filling. All of the above will work great. I just like the chunks of apples with the meatballs. A hearty and easy to pull together meal that will please the entire family. Serve with corn cobbettes. Arrange frozen meatballs on a baking sheet in a single layer. Bake in oven at 375 ° for 15 min. to lightly thaw and begin to brown the meatballs. Remove from oven.In Large Sauce pan heat Bbq sauce and applesauce or fried apples over medium-low heat. If using fried apples, break up apples into small bite sized chunks, as you mix it together. Add meatballs and gently mix to coat. Let meatballs heat but not boil. Reduce heat to simmer and let simmer 5-10 min. till serving.Cook Rice according to package directions. Serve Meatballs over rice.Alternate cooking method: You can cook the bbq sauce/ apples and meatballs in crock pot on high for 2 hours or low for 4-6 hours and then cook rice before serving. 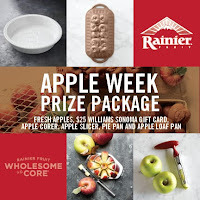 Don't forget to sign up for the great Prize pack #Giveaway from our amazing #Sponsors! The link to enter the giveaway is below. The prize pack has gotten so big and long, I'll send you back to our welcome post to check out the full list of prizes, if you didn't see them earlier in the week! What a great, quick dinner or appetizer. So easy to have all the ingredients on hand for those nights when time slips away from you. What a fun dinner, but I agree with Wendy that it would be a super fun snack for our football crew too. They always like meatballs and this will be a perfect way to mix it up! This sounds even better than the cocktail sauce and grape jelly meatballs. I wish we would have encouraged KC to make more BBQ sauce. I just asked Clint if he could bring me some more apples so I can make more applesauce. 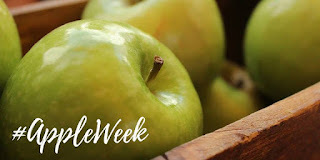 These apple week recipes are going to use up my stash.